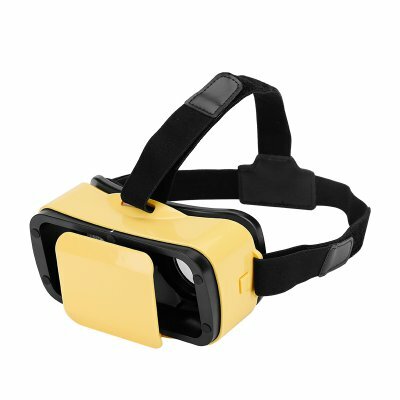 Successfully Added Stylish VR 3D Glasses - Lightweight, Adjustable Focal Depth, Pupillary Distance, T-Shaped Head Strap (Yellow) to your Shopping Cart. Using your phone 4.7 to 6 inch Smartphone as a VR Player this headset is a quick, simple and above all, affordable way, to get a taste of the VR revolution. No signups, not subscription and no hidden fees, you don't need a powerful computer just your average cell phone and with this headset your ready to take the plunge into a world of new possibilities. Compatible with both Andoroid and iOS Smartphone's this virtual reality headset uses your Smartphone to display side by side 3D images and footage. With a plethora of apps available you can immerses yourself in flight simulations, explore the moon and strange new worlds or enjoy your own 3D movie experience, the possibilities are endless. These VR glasses have a adjustable pupillary distance and focal depth so can accommodate users with with different visions (adaptive 0 - 700 dioptre myopia). Their lightweight design and adjustable headband ensures a good comfortable fit so you can enjoy hours of entertainment. These 3D VR glasses come with a 12 months warranty, brought to you by the leader in electronic devices as well as wholesale VR goggles..